A Residential Lease Agreement is signed by the tenant and the landlord stating their duties and liabilities in the renting of a premises. Lease Agreement Templates includes the term of the tenancy and the conditions of renewing of agreement. The amount of rent to be paid and mode of payment are also mentioned in the lease agreement. It also states the steps to be followed in case of a default in payment. Lease Agreements also mentions the amount of security deposit for the lease under what circumstances the deposit will be circumvented by the landlord. 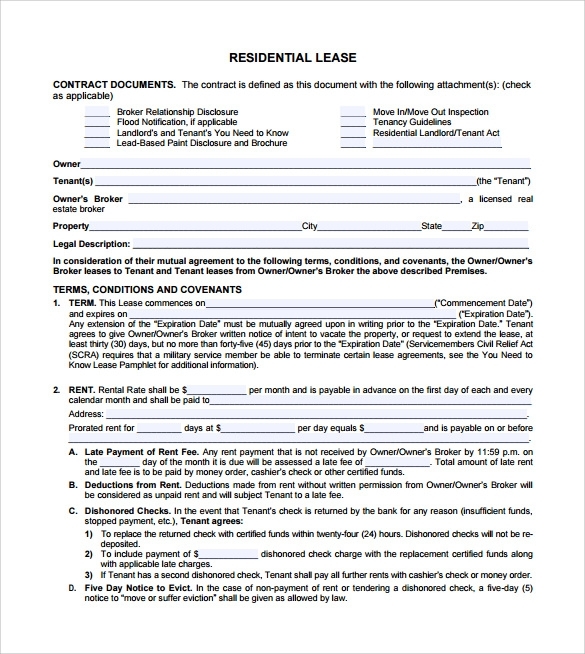 Templates for the residential lease agreement can be downloaded right here for your convenience in word and PDF format. The simple residential agreement is easy to understand and follow. The layout is simple and offers to update all the details concerning the tenant and landlord at ease. There is also a separate column that sets out the terms and conditions to be followed during your term of tenancy. 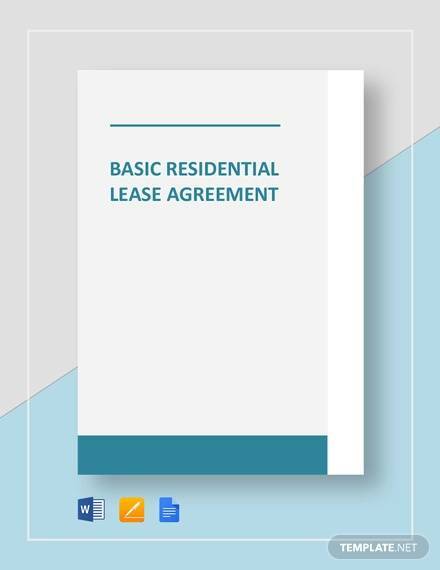 The sample residential lease agreement is available in the PDF format along with complete details related to building and its surrounding premises. There is also a specific column that mentions the details about additional facilities that can be availed by tenant during the period of stay. 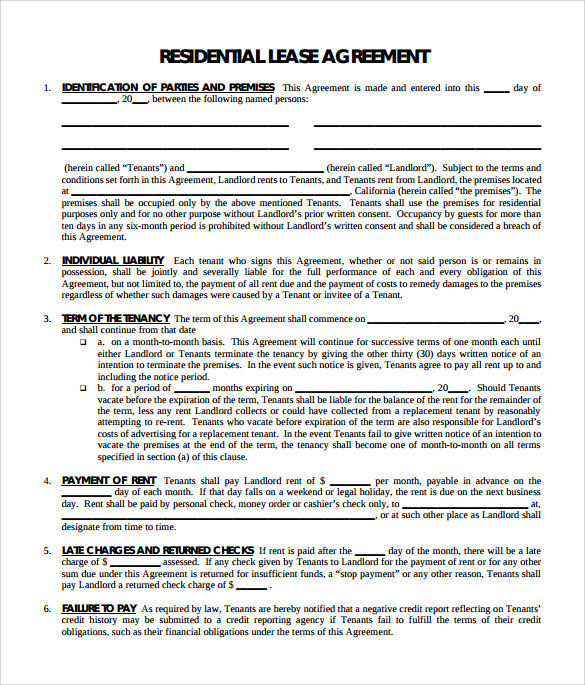 The basic residential lease agreement template offers a simple and easy to follow pattern of agreement. The template is easy to understand and use making it possible to generate an ideal rental agreement without investing too much on lawyers. 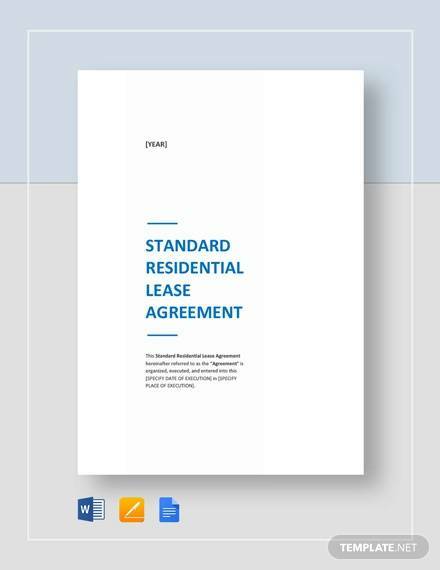 The print model of residential lease agreement can be downloaded from the site and put to print at ease. 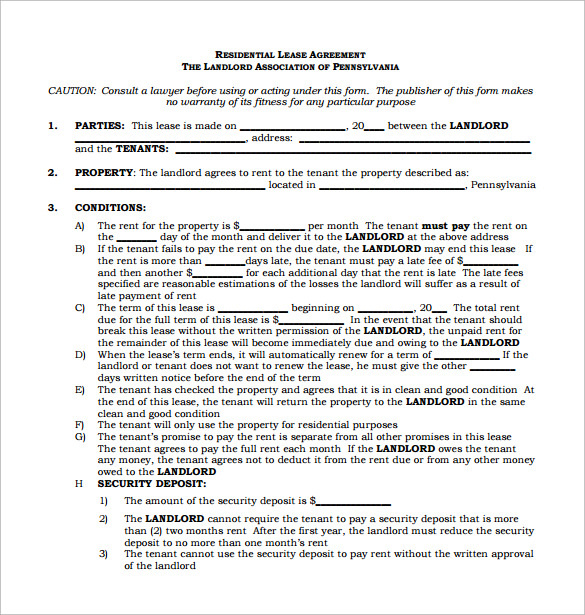 Once the print out is generated all you need is to just enter the available details of landlord and tenant and get it signed from both the parties. Rental lease agreement serves various functions, while the first and foremost is to maintain transparency. It is beneficial for both landlord and tenant than getting into a trouble in future due to misunderstanding. A rental lease agreement serves the following purpose. You may like Net Lease Agreement Templates. 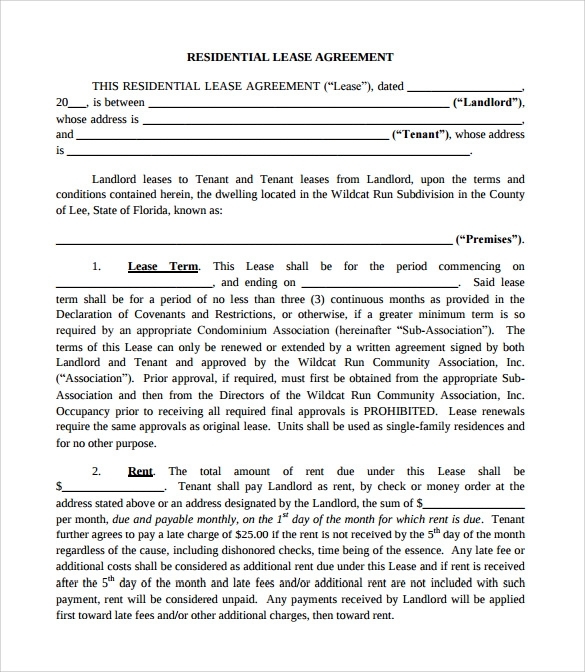 Why do I need a Rental Lease Agreement? It is always better that you have your residential agreement in writing so that there is no room for confusion or doubts in future. Rental agreements in writing will serve the purpose of avoiding misunderstanding with your landlord. Also, the rental lease agreement will have clear specification on the responsibilities shared between landlord and tenant, who will be responsible to pay utilities, agreement on whether the building can be lent to any other party by tenant among others. 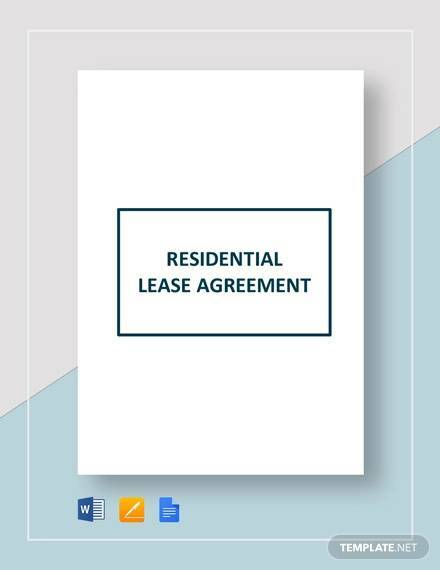 The lease template can be used for various kinds of residential projects such as apartment, duplex, studio, room and living spaces among others. 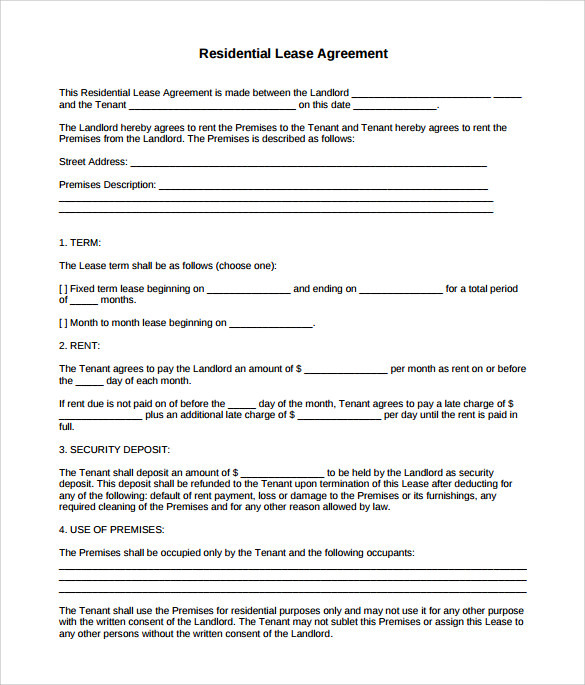 You can also see Property Lease Agreement Templates. When do you need a Rental Lease Agreement? When you are entering into any kind of residential investments that involves huge amount of money, then it is always better for you to have a rental lease agreement. The rental agreement will help to list out the roles and responsibilities of a tenant and landlord alike. In most cases home owners looking for tenant, tenants looking for residential property, landlords or property managers find it very easy to make use of rental lease agreement. If you are on the lookout for an option to buy a property then this is always helpful to enter into lease agreement. 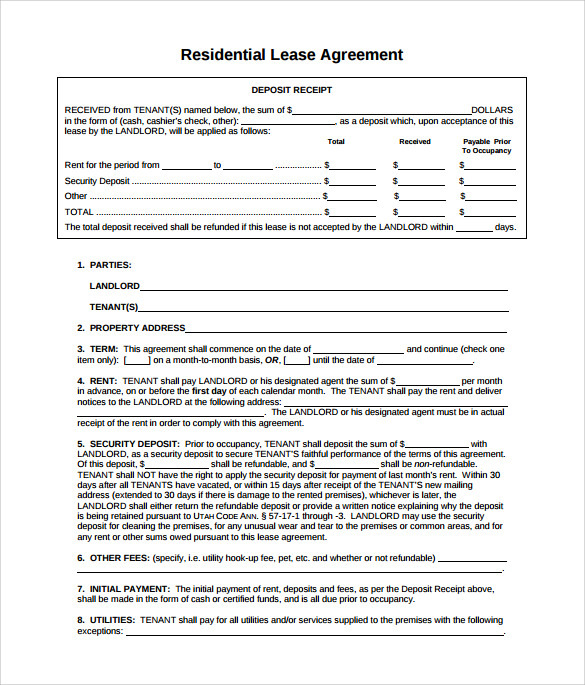 You may also like Home Lease Agreement Templates. 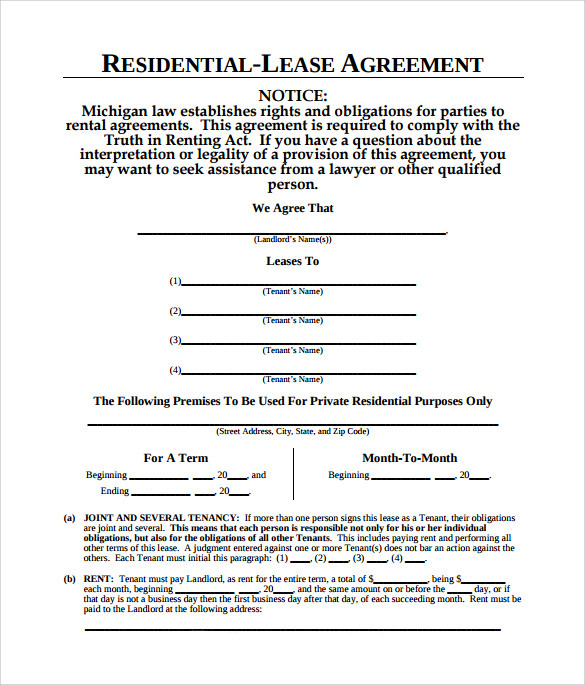 Creating a residential lease agreement on your own is an easier task in hand. All you need to do is to collect a little basic information about your tenant or landlord and put them to a format understandable by both the parties. Once this is done you can go ahead with setting out the terms and conditions that needs to be followed by both tenant and landlord. On filling the complete details, the agreement needs to be read and signed by both the parties. The terms of agreement along with the period of stay and the period if extendable need to be carefully mentioned in the agreement so as to avoid any sort of confusion. Also, a rental agreement is a valid proof of your stay in a residential property and allows you to be at peace till the valid period is complete. 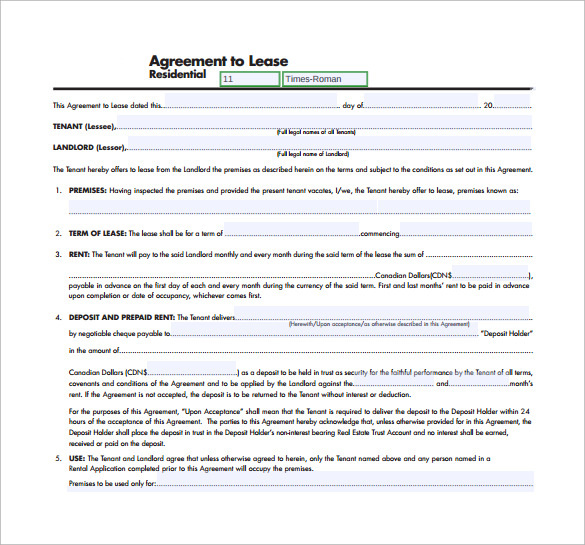 You can also see Room Lease Agreement Templates. So, if you are on the lookout to lease out residential properties, then the first and foremost part that needs your attention is to enter in to a valid rental agreement. The templates for residential agreement can help you in this case so that you need not invest huge amount of your time and resources into outsourcing the same.